P.P.U. 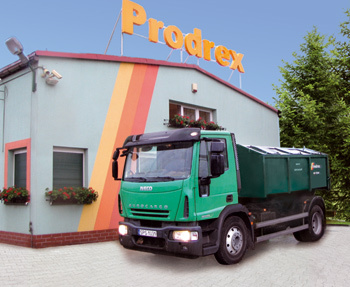 PRODREX Ltd. exists from 1989. At first the company employed 9 persons, and the field of its activity included building and repair services and mushroom production. The permanent business progress, extending the fi eld of activity and an increase in employment let for obtaining a wide range of services in the fi eld of the comprehensive maintenance of cleanliness and order in an industrial plants and public buildings, at the current level of employment of about 250 employees. Our company owes its rapid development to constant raising standards of the work and high quality of supplied services based on using the latest technologies, eco-friendly cleaning agents and devices from world-renowned companies. A motto of the Company is professionalism and openness to all needs and wishes of the Customer, according to the quality and environmental mission taken on. Model example of the activity of our Company is many-year lasting cooperation with greatest industrial companies in Silesia region. Experience in the scope of supplying services for automotive industry date from 1991, when our Company started the cooperation with our most important customer, FIAT AUTO POLAND. Attempting to meet raising Customer’s demands and increasing competition, the Company invests in modern equipment, devices and technologies.